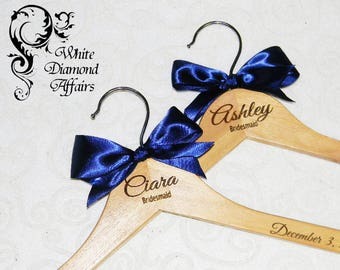 This listing is for one 1-line Personalized Wedding Hanger. that the photographer can capture a great photo opportunity! 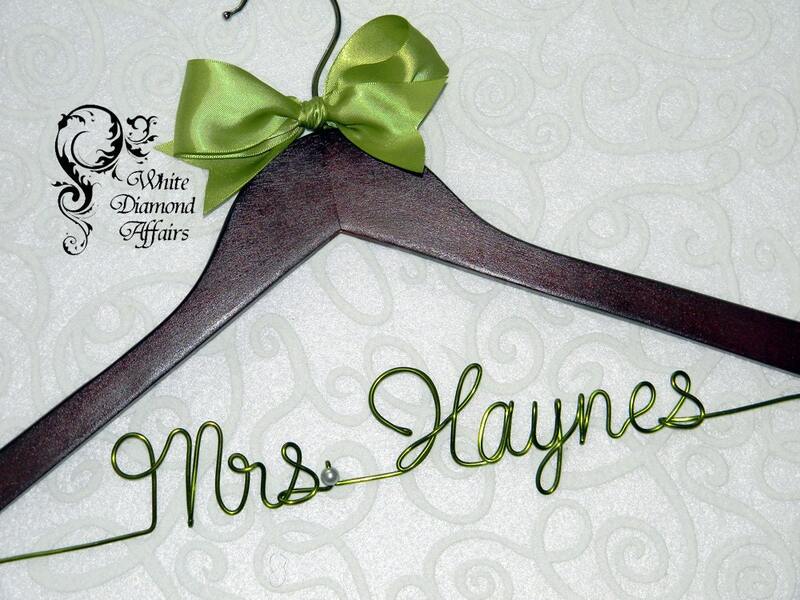 Every hanger that White Diamond Affairs makes is handmade and made to order once purchased. We allow a maximum of 14 characters lower case. Capital letters are two character spaces. to hold the weight of very heavy wedding dresses. RUSH FEE: Add this item from our shop listings to your cart if you need within 14 Business days. international orders will be shipped with USPS International First Class Mail. This turned out beautiful and she even rushed it for me. Thank you! Great shop to work with!! Fast shipping!! Bride loved it!! 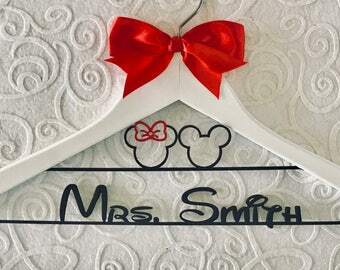 Will definitely be buying future gifts from this shop..
Love it! Exactly what I ordered! Thank you!